Louise Cannon, known to many as “Lou” passed away on September 1, 2018. 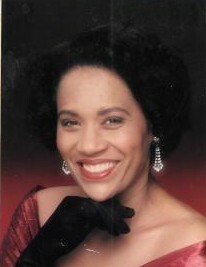 Louise was born on May 2, 1946, in Van, Arkansas, to Leslie Minor Jr. And Fannie Belle Minor. She was married to Eddie Martin; to this union one child was born, Elliott Gerald Martin, in 1967. She later married Ural Pete Cannon until the time of his death. Louise attended Antioch Missionary Baptist Church for many years before joining Vancouver Avenue First Baptist Church, where she attended faithfully, serving as a member of the mother’s board and singing in the choir. She worked many years at the Portland Shipyard until her health began to take a toll and she was forced into retirement. Louise was one of the most generous people around: She hosted family gatherings and dinners at her house on Bryant St. where many family memories were made over the years. On any given day you could catch Louise at the grocery store holding a concersation with any and everyone; Louise NEVER MET A STRANGER. You might also find her stopping by your home to say hello, or driving by your house honking the horn in her Little Blue Truck. Another thing about Louise, is that many have tried, but no one could bake a homemade “BUTTER CAKE” better than her! Through it all, nothing compared to the love she had for her family; and her love for her sisters was something that no one could measure. Louise is preceeded in death by her parents, Leslie and Fannie Belle Minor; 2 husbands: Eddie Martin and Ural Pete Cannon; 5 sisters: Linda Jackson, Ethel Seeger, Arleen Minor, Pearlie Walter and Rosine Washington-2 brothers: Wesley “Bud” Minor and Alfred Lee Minor Sr. Louise leaves to cherish her memory, her son Elliott; 3 grandchildren: Alyssia Cunningham, Darius Alexander Martin and Dasia Marie Martin; 3 great grandchildren: Chrishelle and Alaiya Drain and Arayana Ramirez. 4 siblings, Lorene Peterson, Bettye Loving, Glendora Hart and evelyn Minor. 1 sister-in-law: Janice Minor; 4 brother-in-laws: Harry Washington of Detroit Michigan, Morris Carney Sr., Donzell Flanigan and Charles Williams, all of Portland, Oregon; and a host of nieces, nephews, relatives and friends. Louise will be greatly missed.